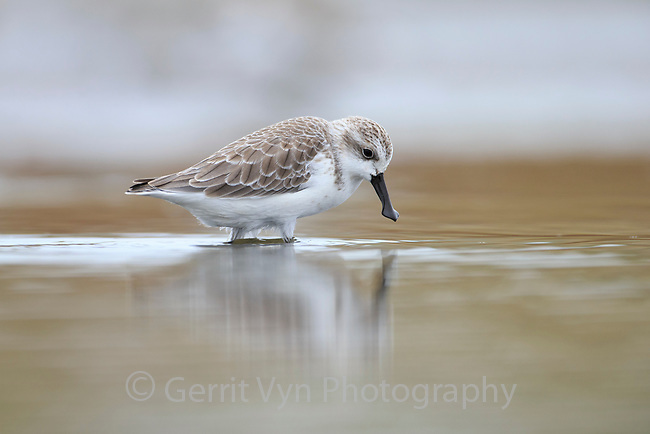 A Spoon-billed Sandpiper forages in a shallow fish pond near the Yellow Sea coast. In many areas of the Yellow Sea, shorebirds rely on fishponds for roosting becasue high tide habitat at the coast has been eliminated by development. Rudong, China. October.